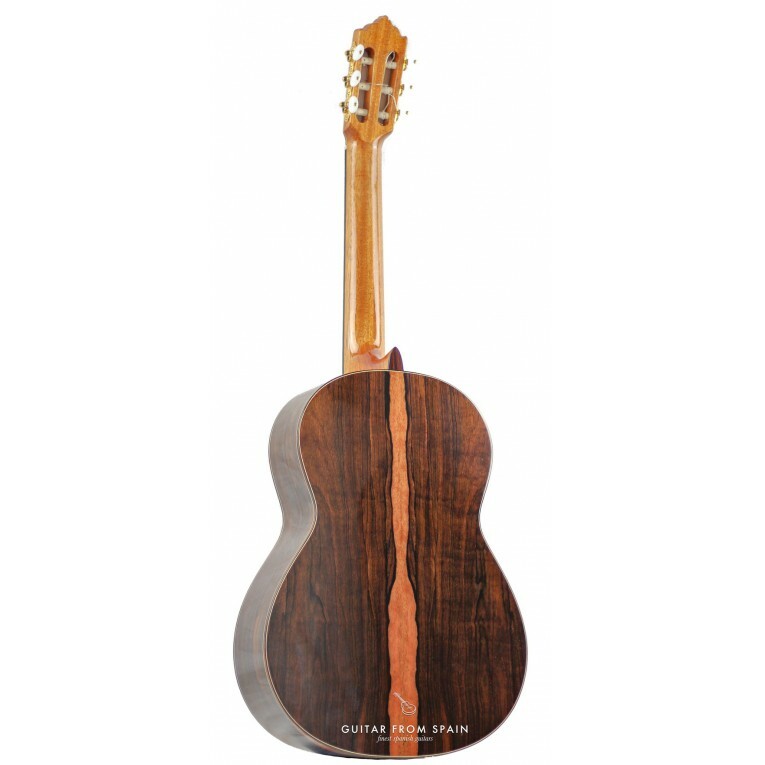 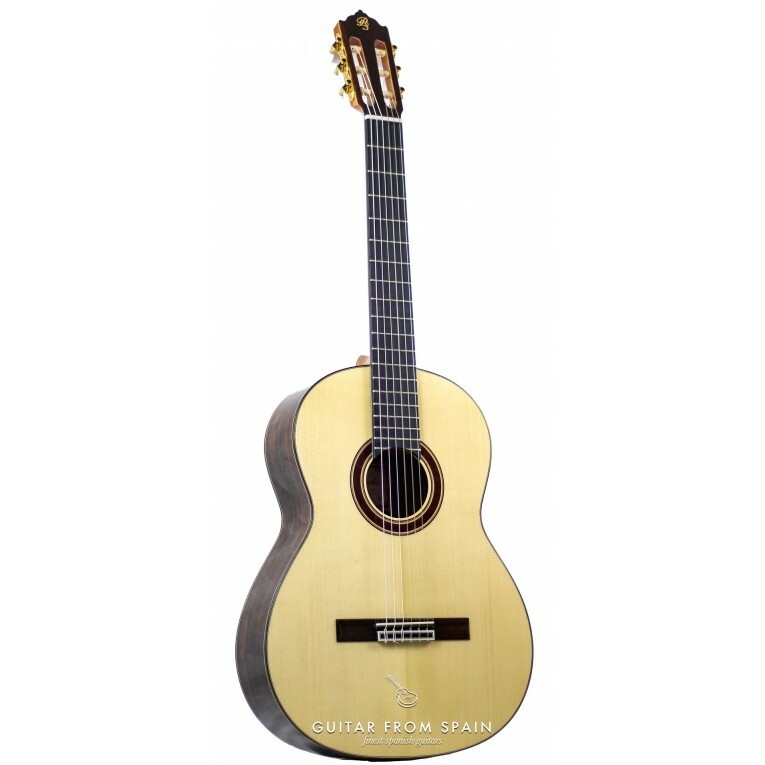 The new guitar Prudencio Saez 35 is one of the latest additions to the classical guitar range from Prudencio Saez. 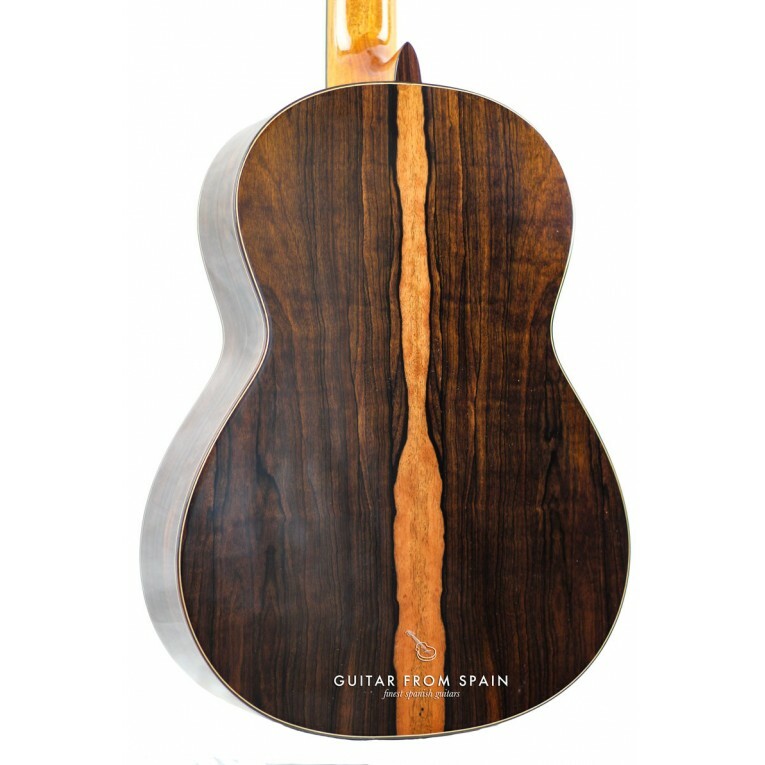 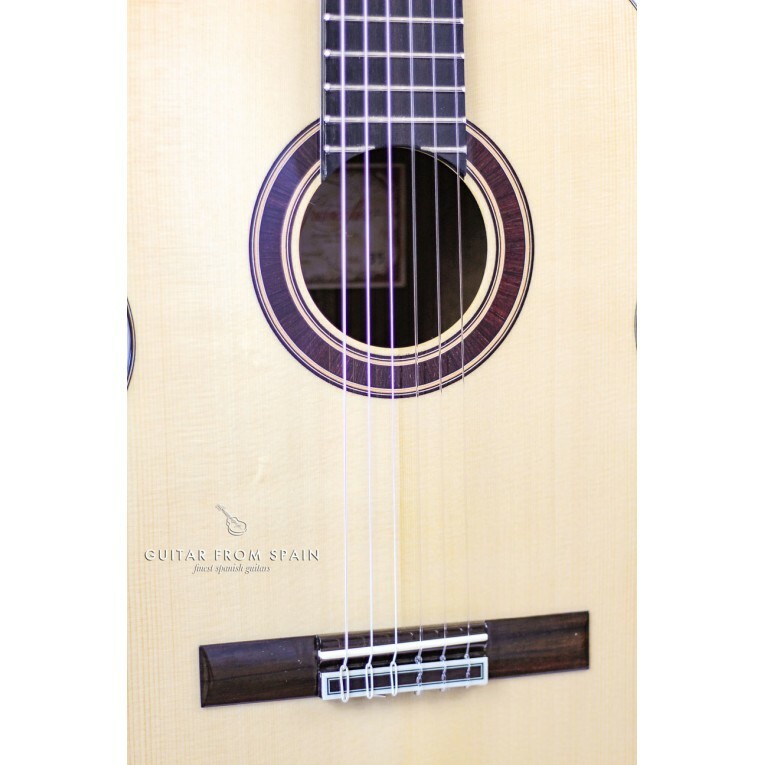 The model 35 from Prudencio Saez is made in Spain with quality materials, this guitar is an intermediate model for classical guitar students. 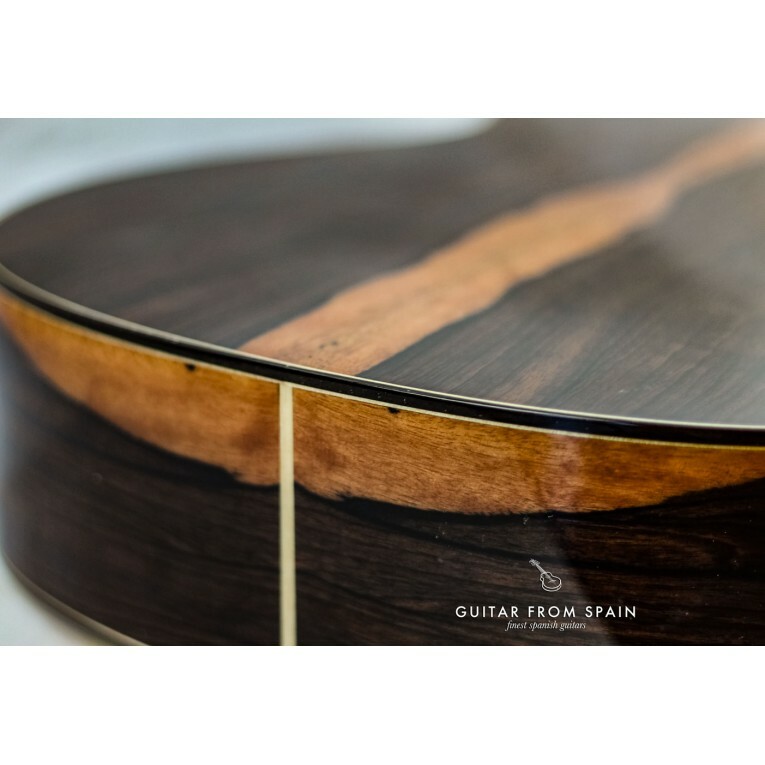 The beauty of the Green Ebony body catch your eyes immediately, and the clean spruce soundboard, along with a simple but beautiful rosette, makes the guitar appear like a much more expensive guitar. 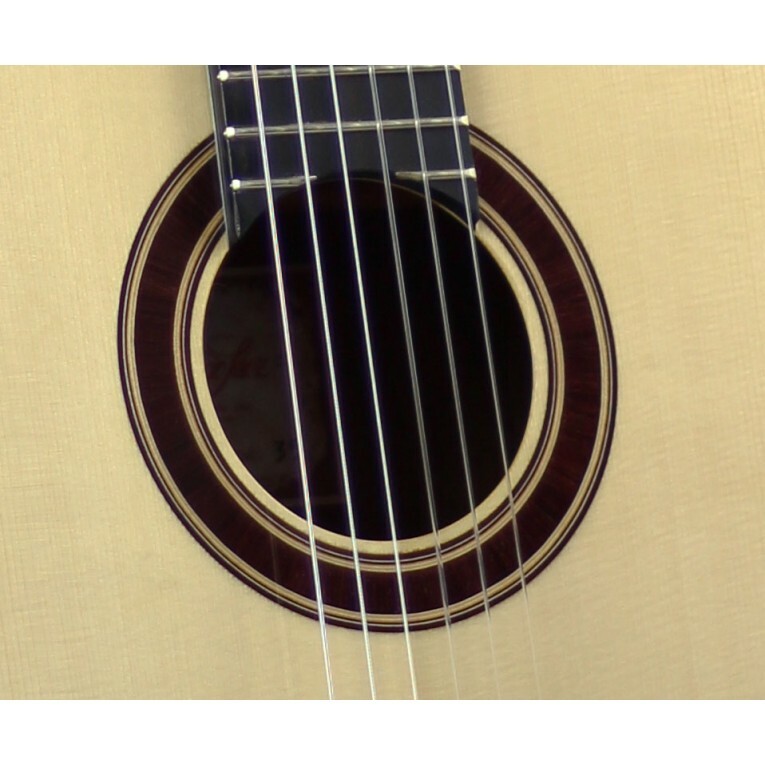 The sound is rich, with plenty of volume and a very well balanced. 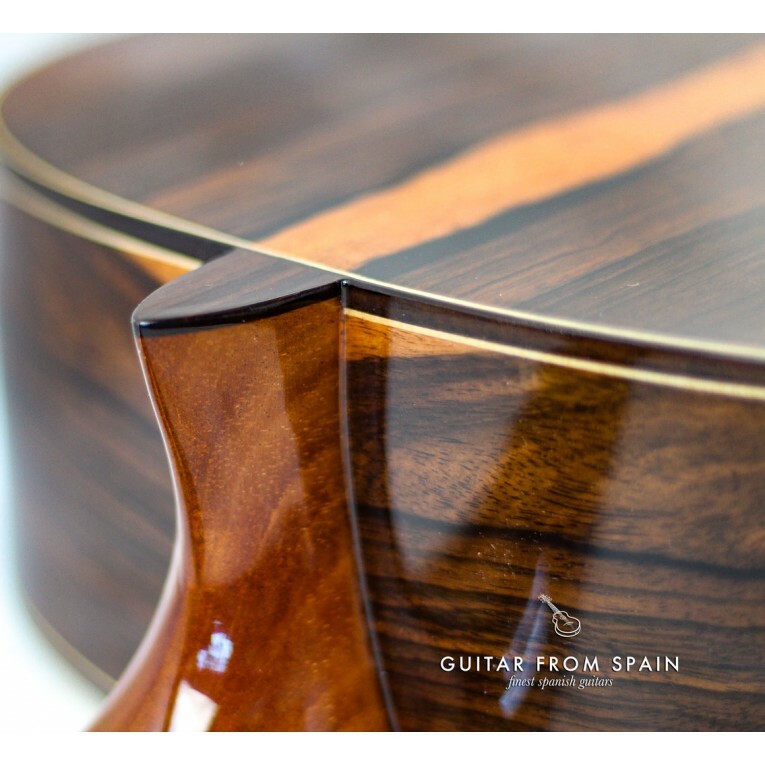 The Green Ebony body gives the guitar a good sound projection and the solid spruce top provides a very professional sound. 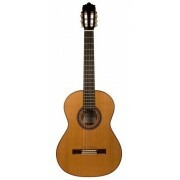 The quality of this guitar is very surprising considering its price.